Home / Products / Know the Reviews of Kraus KPF-1650SS Kitchen Faucet Before You Get It! Know the Reviews of Kraus KPF-1650SS Kitchen Faucet Before You Get It! Are you looking for a lead-free metal faucet that will help in giving your kitchen a unique look? 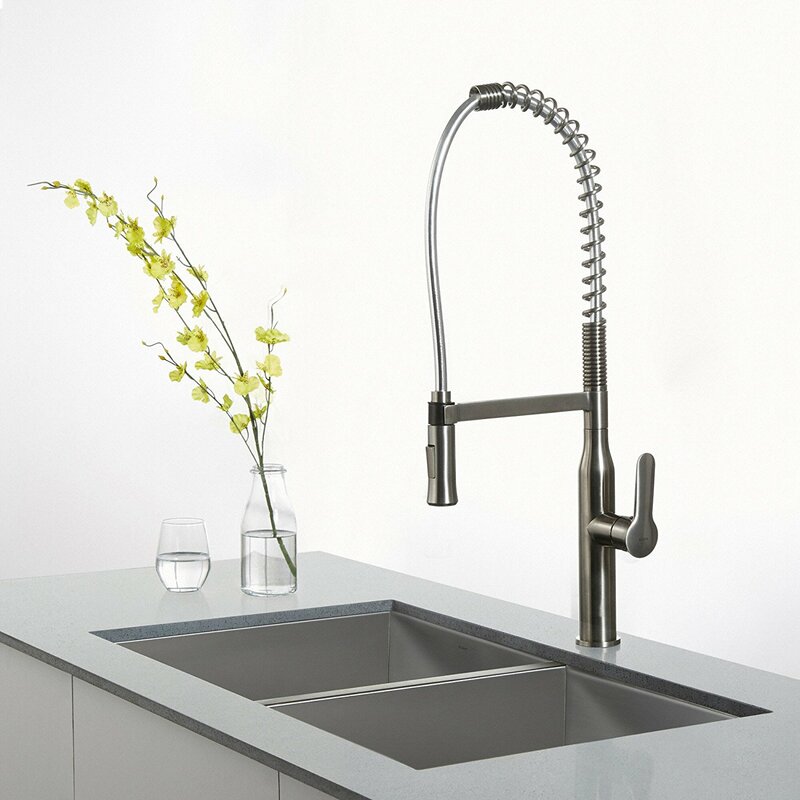 The Kraus KPF-1650SS Modern Nola Single Lever Commercial Style Kitchen Faucet is the one for you! 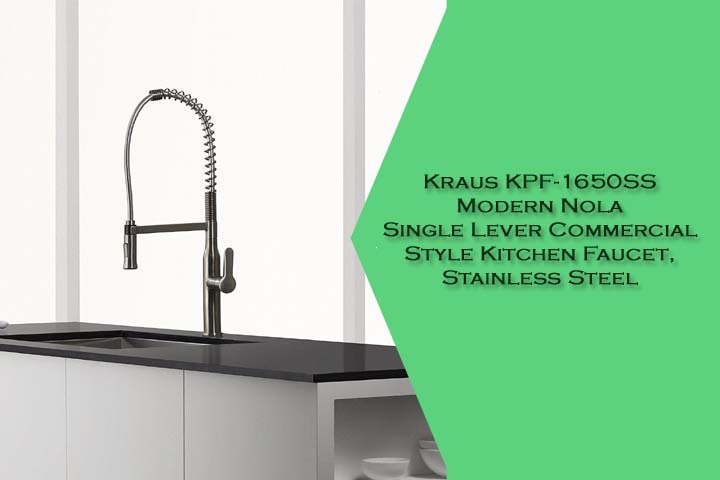 Coming from the house of Kraus, which is the lead manufacturer of kitchen and bathroom fixtures, this is a trendy product that has a complete metal look with chrome finish. Available with a 360-degree swivel, this has magnetic docking as well as splash free control system that makes it extremely easy to use! For all those people looking forth to getting one for them, there are certain factors that you cannot miss out! This kitchen faucet from the house of Kraus is truly one of the best that is available in the market. Based on high-end technologies as precision kerox cartridges and neoperl aerator categories, this faucet soften down the water stream. Not only that the diameter and delivery of water controlled to precision with help of these techniques. Associated with these technologies is the single lever design that ensures temperature of the water as well as maintains durability of the product. Coming with a limited lifetime warranty, this is truly a faucet to check out! As per the latest news available after a long time comes a faucet that has almost no negative reviews in its name. However, the price range according to many could have been in a lower range. Also the choice is between chrome and stainless steel which makes this faucet desirable for the customers. So, for the buyers who wish to have a single handed faucet that is specifically designed to control the flow and temperature of water, this faucet is a great choice!